There are several factors that regulate the cell cycle and assure a cell divides correctly. 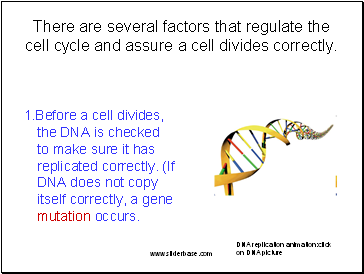 1.Before a cell divides, the DNA is checked to make sure it has replicated correctly. (If DNA does not copy itself correctly, a gene mutation occurs. 2. 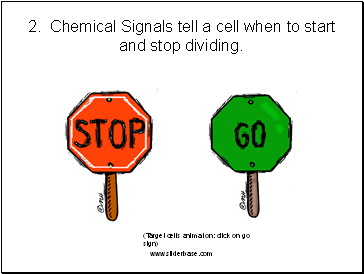 Chemical Signals tell a cell when to start and stop dividing. 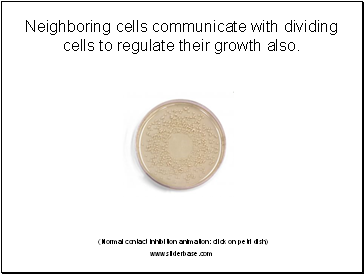 Neighboring cells communicate with dividing cells to regulate their growth also. 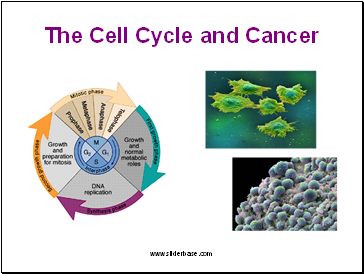 Cancer is a disease of the cell cycle. 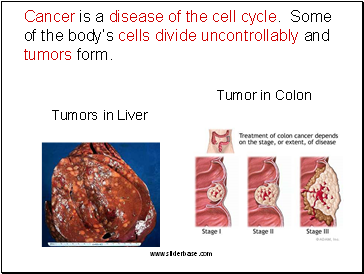 Some of the body’s cells divide uncontrollably and tumors form. 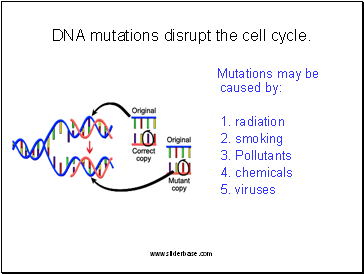 DNA mutations disrupt the cell cycle. 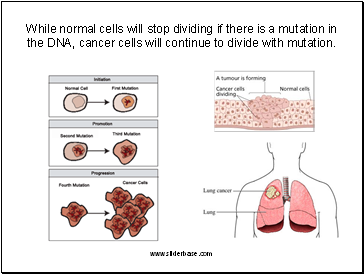 While normal cells will stop dividing if there is a mutation in the DNA, cancer cells will continue to divide with mutation. 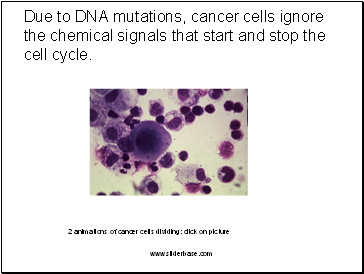 Due to DNA mutations, cancer cells ignore the chemical signals that start and stop the cell cycle. 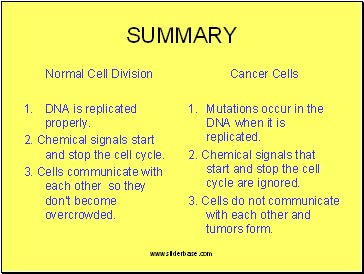 Due to DNA mutations, cancer cells cannot communicate with neighboring cells. 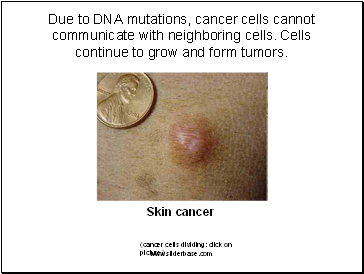 Cells continue to grow and form tumors. 2. 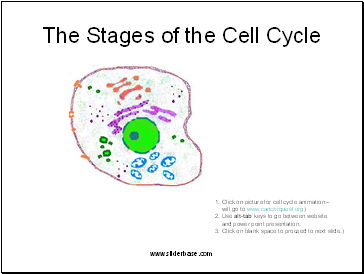 Chemical signals start and stop the cell cycle. 3. Cells communicate with each other so they don’t become overcrowded. Mutations occur in the DNA when it is replicated.